In December, our student council organised and ran a very successful bake sale. The council voted to share 45% of the money raised with the Laura Lynn foundation. One of our teachers volunteers with them, and after hearing this, our fifth class representatives suggested we donate the money to them. LauraLynn is a children’s hospice, and do some amazing work to help support children who are unfortunately very ill. 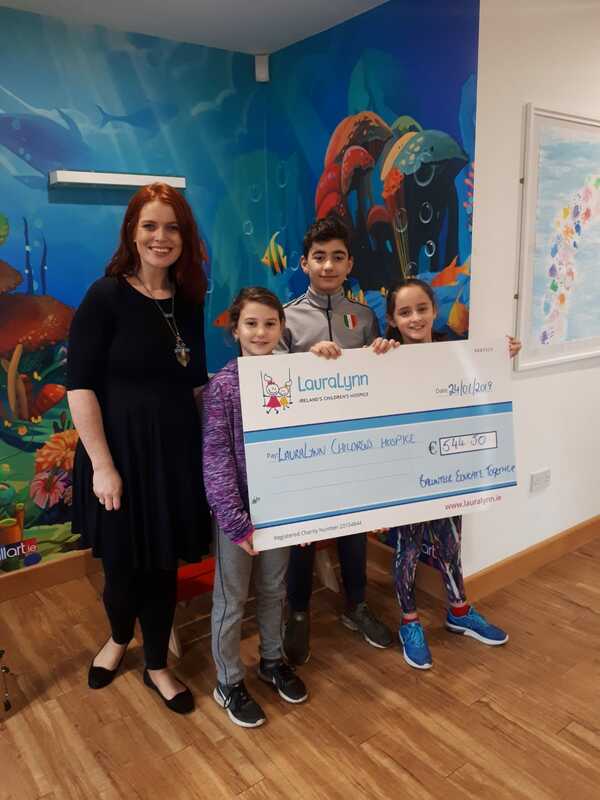 Earlier this week, three representatives from our Student Council visited Laura Lynn to present them with our donation. They were extremely grateful and told us that they could not keep doing the work they do without the generosity of people like our school community.